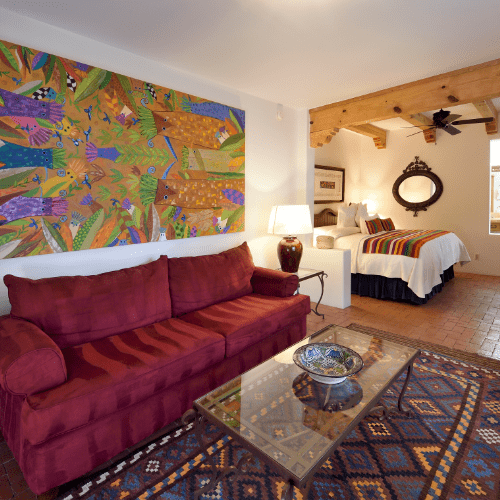 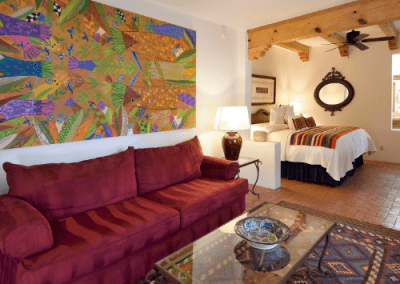 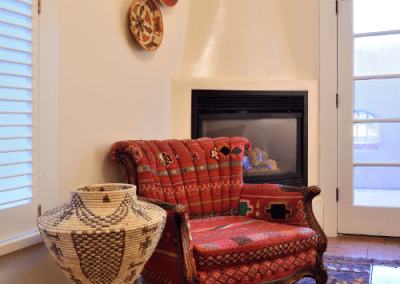 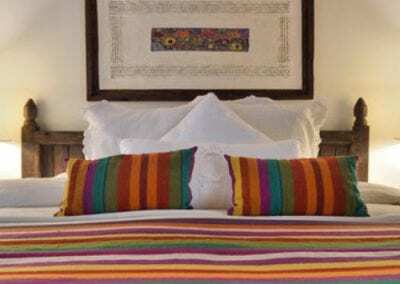 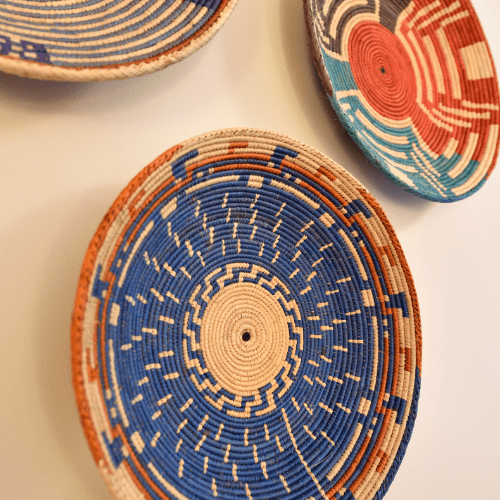 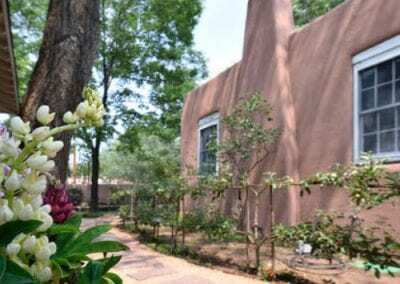 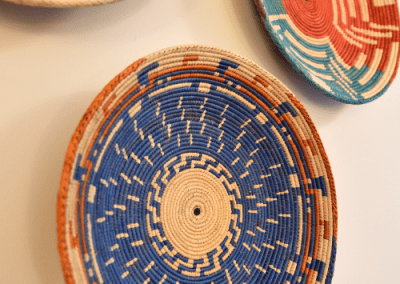 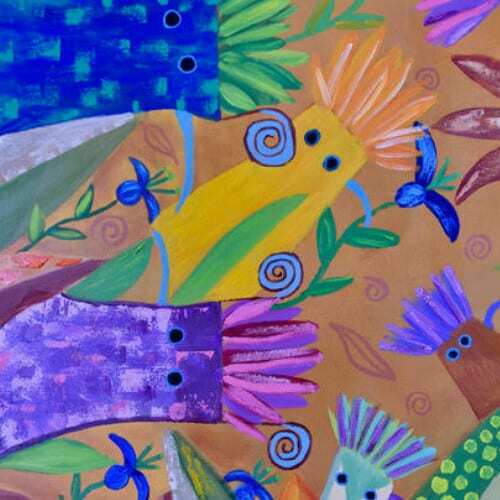 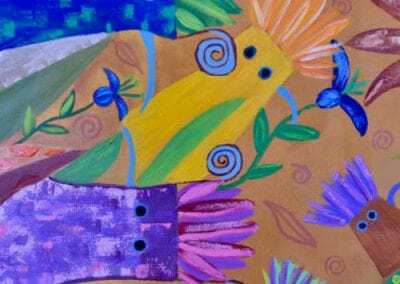 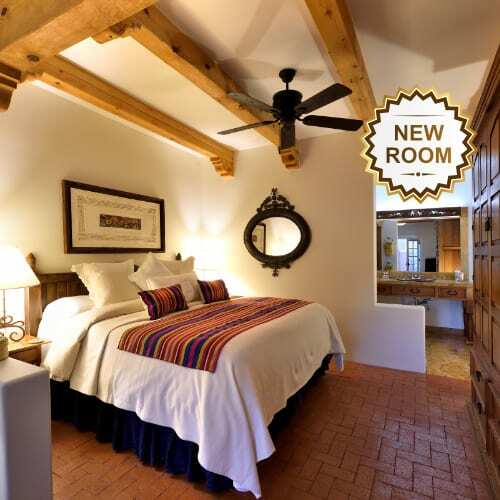 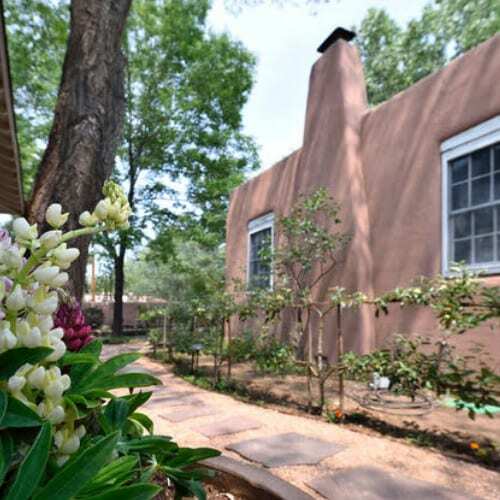 Casa Culinaria – The Gourmet Inn boutique inn is one of the best hotels in Santa Fe. 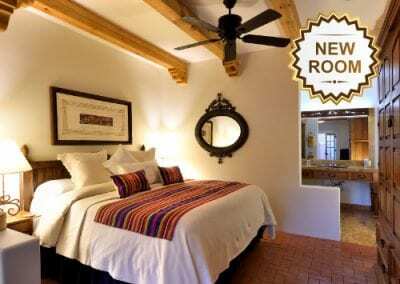 We feature 11 amazing lodging choices. 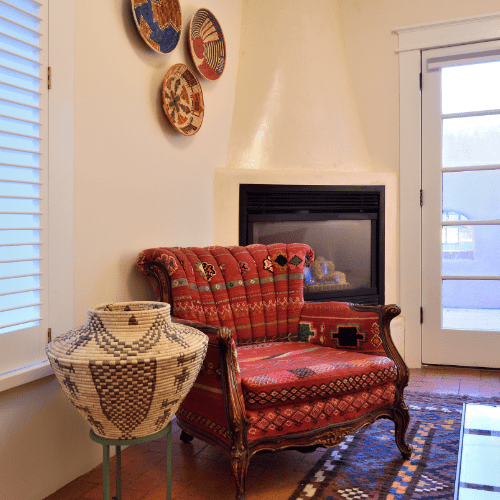 The old apricot tree shades the private courtyard entrance to the Santa Fe Suite, which features local and regional fine art and furniture. 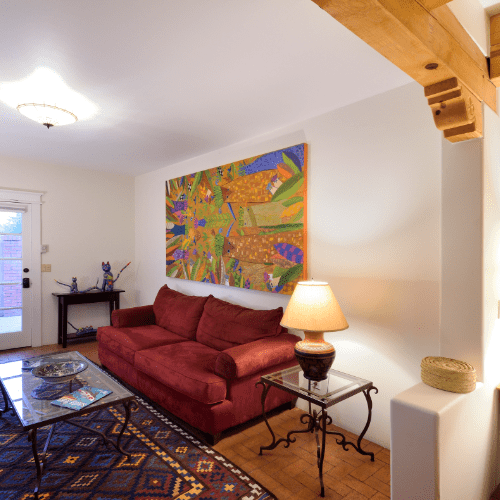 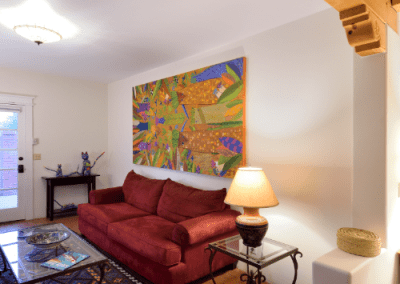 Amenities include a comfortable sitting area with a Kiva gas fireplace and a king-size bed. 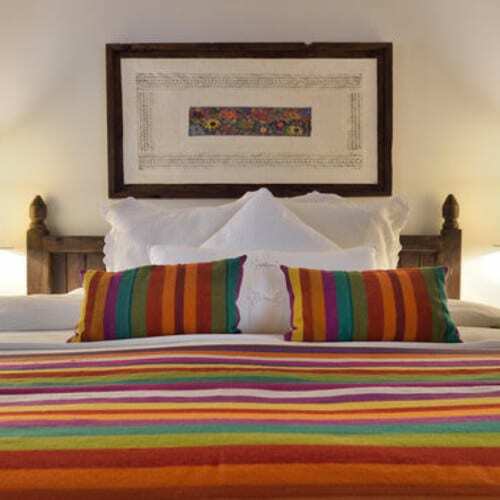 The elongated design of this room enhances dual enjoyment by our guests who may simultaneously relax in defined areas of the suite. 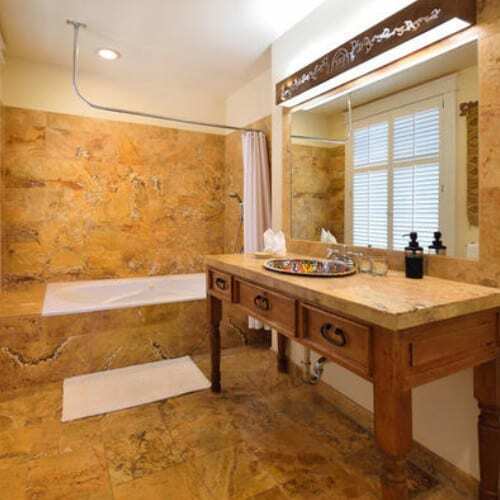 The beautiful Ecuadorian-limestone vanity is bathed in afternoon sunlight. 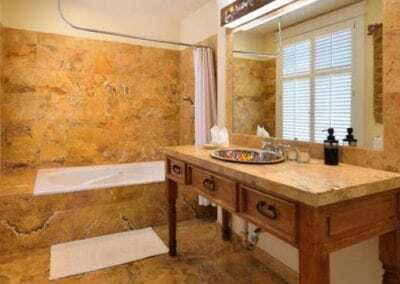 The full bath features a whirlpool tub for two and heated floors.